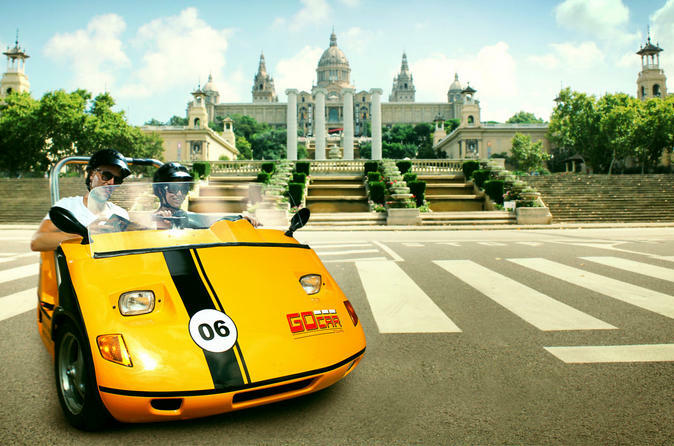 Explore Barcelona in a unique and exciting way – by GoCar! Easy and fun to drive, the GoCar is guided by GPS (Global Positioning System), which means that the car always knows where you are, even if you don't. As you drive near La Sagrada Familia or Park Güell, the GPS tells you where to turn and what you're passing, and it waits patiently if you want to stop. With three different itineraries and tour lengths to choose from, you can discover Barcelona on your own schedule! Unlike a traditional tour, you decide where you want to go and when you want to stop. 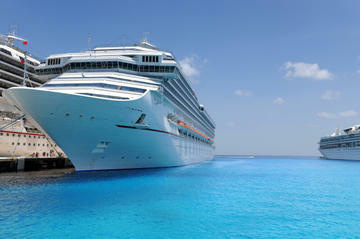 Your tour can take anywhere from 1 hour to 2.5 hours – the choice is yours. 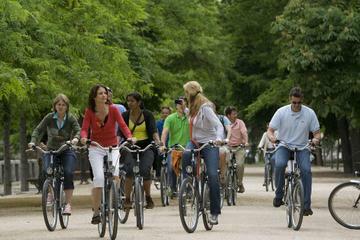 Simply get your car, choose a designated route or make up your own tour of the city, and let the fun begin! Please see the Itinerary section below for details on each tour. On this 1-hour tour, see Barcelona's main attractions, including Gaudí's main artworks La Sagrada Familia, La Pedrera and Casa Batlló. 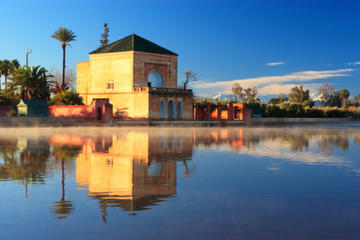 See the Arc de Triomf, the Parc de la Ciutadella – Barcelona's main park – and La Monumental bullring. Drive by the elegant Passeig de Gracia street and the legendary Las Ramblas, home to the famous Boquería Market and Columbus Monument. Finish with amazing views of the Mediterranean Sea as you drive by Port Vell, the Barceloneta Beach and the Olympic Port. This 2.5-hour tour takes you around the interesting urban layout of Barcelona Olympic area and waterfront. Turn on your engine to drive past the beautiful Arc de Triomf, near the entrance of the Parc de la Ciutadella, and follow your GPS as it guides you to the coastline. See the Santa Maria del Mar Cathedral, and continue driving by the waterfront until you reach the Columbus Monument. See the Barcelona Contemporary Arts Museum (MACBA) and the Centre of Contemporary Culture Barcelona (CCCB), then arrive to the top part of the famous Las Ramblas. Next, head to Montjuïc to enjoy outstanding views of the Barcelona skyline. Tour the area, home to the Spanish Town and the Olympic Stadium, then head back to central Barcelona by the waterfront, taking in views of Port Vell and the Mediterranean Sea. You may upgrade your downtown tour to include La Sagrada Familia on your route, which will take a total of approximately three hours. 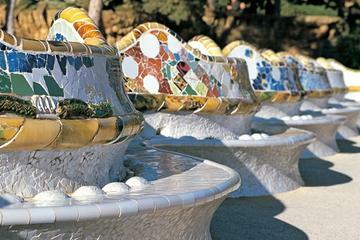 The uptown tour takes you outside of the old town to discover Gaudí's most important creations. On this 2.5-hour tour you will start driving east by the Arc de Triomf and the Parc de la Ciutadella, and continue by the Agbar Tower and La Monumental bullring. Next, see the famous Gaudí monuments of La Sagrada Familia and Park Güell, then head north to the Tibidabo mountain for amazing views of Barcelona. Drive south by Gaudí's Pedralbes Monastery and FC Barcelona's renowned stadium Camp Nou, or venture into areas that many visitors never never see, such as the buzzing bohemian neighborhood of Gracia. Continue your tour on the famous Avenida Diagonal road until you reach the elegant Passeig de Gracia. Here, see many examples of art nouveau on the building and street decorations, as well as Gaudí's Casa Milá (also known as La Pedrera) and Casa Batlló. You can pick up and drop off the GoCar anytime during shop open hours (March 1 to Oct 31: 9am to 9pm; November 1 to February 29: 10am to 7pm) on the booked day of travel. What a great way to see Barcelona!! I tried the GoCar last week with my brother-in-law. We had booked and paid for an hour, but had so much fun that we chose to stay out for the full day. Driving in Barcelona traffic was much easier than I had expected and the GPS instructions were great, informative and fun. People on the streets were waving to us and taking photos of us in our little funky yellow car :). 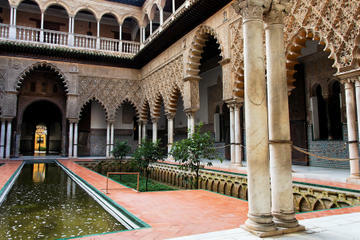 We stayed and visited several sights like the FC Barcelona soccer stadium and Park Guell (don't miss!). 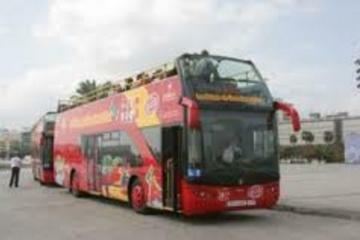 This must be the coolest way to see Barcelona, so much more fun than a traditional tourist bus. Really enjoyed this. We had originally reserved our car for the day we got to Barcelona, but it was raining and they were very accommodating to change the dates for us. It is very difficult to brake this vehicle, but the experience was fun. The GPS is not quite like the US where it gives you time to make the turn and warns you, these turns come up fast and if you are in the wrong lane.. good luck. They are also pretty loud.. like a riding lawn mower, but that still wasn't too bad. If they were electric it would be better as you could really listen to the talking GPS without having to turn it up and down in the streets and at stop lights. Got to see a lot of things around Barcelona that we will go back and check out on our next trip. We had the 3 hour tour but there is NO time to stop if you want to get this back on time. Plan on paying more if you plan to stop at any sites. Plan at least 5-6 hours for 3 hour tour. Recommended, but you need to be not weary about driving in Barcelona. There is no such thing as a left turn.. all round abouts.. very different roads. This was really fun and at the same time terrifying. Get ready to have your photo taken dozens of times, be challenged to race, and just generally be stared at. Don't do it alone as there is a lot to think about with all the hand controls. Found myself frequently in the wrong lane and risking my life to get to the correct one. All in all it was really fun though. 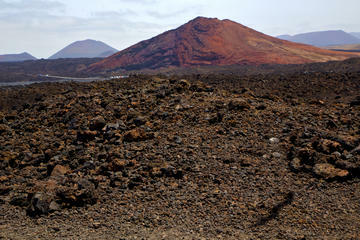 It took quite a bit to get used to the car so you tend to miss a lot of the sights along the way. Took the one hour rental but probably should have taken a 2 hour drive so I could make a few photo stops. You might want to bring a pillow because I think shocks were non-existant.